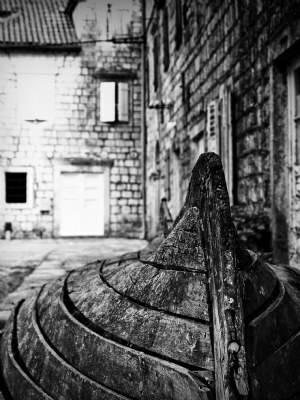 About Just an old boat in coastal village in Montenegro. Thank you Vojislav. The image does look just as good in B&W. I think the shadows could be darkened even more to emphasise the the detail in the in the blacks. You could do this in PS Curves. You need to make sure you keep all the detail in the shadows and highlights but this image conveys a very strong mood and I think it would be enhanced by an overall darker appearance. I think the shadows be darkened even more to emphasise the the details in the in the blacks. You could do this in PS Curves. You need to make sure you keep all the detail in the shadows and highlights but this image conveys a very strong mood and I think it would be enhanced by an overall darker appearance. Good and effective use of dof. Nice details and well managed contrast for giving a powerful composition.